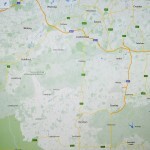 Surrey Total Lawn Care Ltd currently covers an area within Surrey and West Sussex. From Haslemere, Woking, Guildford, Weybridge, Leatherhead, Redhill, Crawley, Horsham, Petworth and every where in-between. We are expanding as a business and as we grow our coverage will grow, so please do let us know if you would like our help with your lawns.